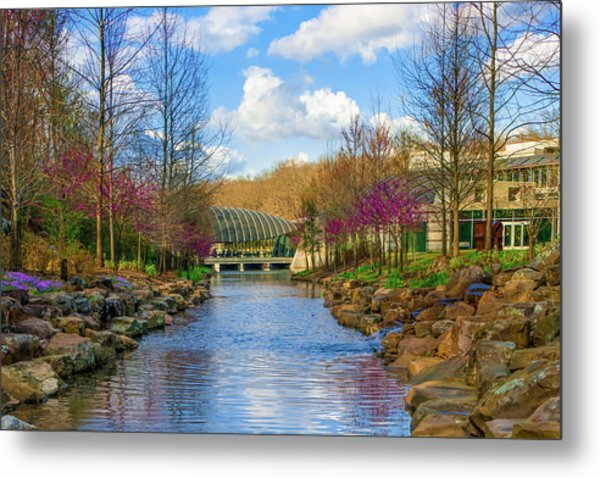 Crystal Bridges In Spring And Blue Skies is a photograph by Gregory Ballos which was uploaded on September 1st, 2018. 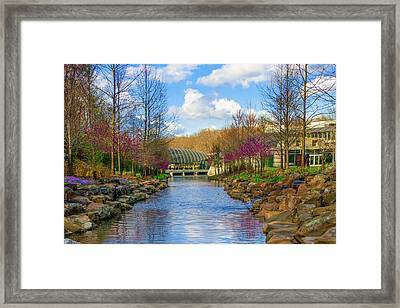 Crystal Bridges Museum of American Art print. 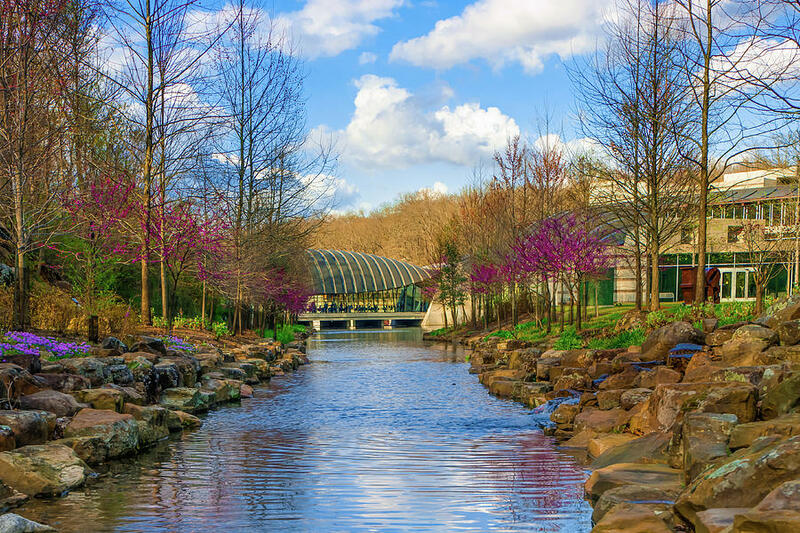 Springtime view of the river at Crystal Bridges / Compton Garden leading to the Pavilion. 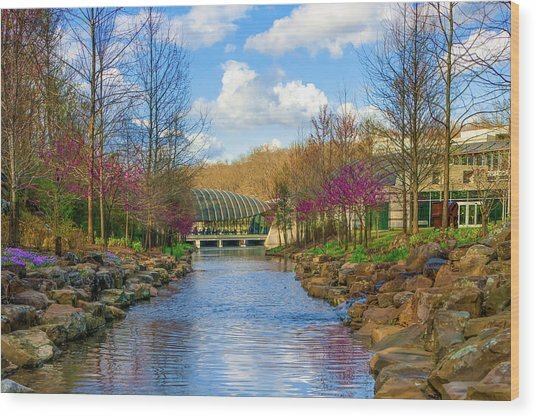 Located in Bentonville, Arkansas, USA. 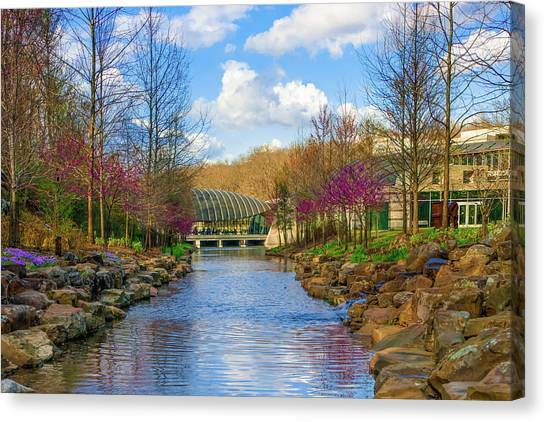 ABOUT CRYSTAL BRIDGES MUSEUM OF AMERICAN ART: Crystal Bridges Museum of American Art is a museum of American art in Bentonville, Arkansas, USA. 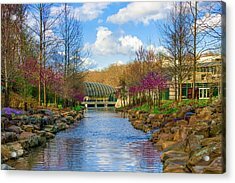 The museum, founded by Alice Walton and designed by Moshe Safdie, officially opened on 11 November 2011. It offers free public admission. There are no comments for Crystal Bridges In Spring And Blue Skies. Click here to post the first comment.